Quad core Android phone with the highest battery capacity in PH. One of the weakest links of the quad core phones in the market today is the battery capacity. You can have the monstrous performance of quad core processors but you’ll have to re-charge every few hours. 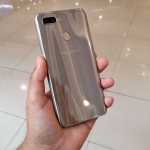 Cloudfone aims to solve this problem by launching Cloudfone Thrill 530QX with 4,500 mAh battery – almost twice than most of its competitors’ battery capacity. 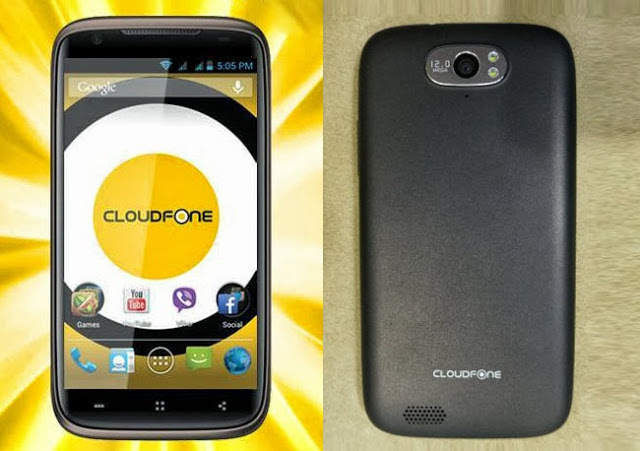 “A powerhouse of a smartphone” says Cloudfone about its new flagship device. 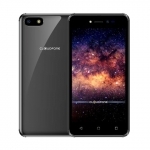 Indeed, Cloudfone Thrill 530QX is a powerhouse with its 1.2GHz MediaTek MTK6589M processor, 1GB of RAM and PowerVR SGX 544MP graphics processing unit. Cloudfone Thrill 530QX may last up to 2 days of normal usage with its 4,500 mAh Lithium-ion battery. It’s a removable cell that makes the handset a bit thicker than its competitors which brings us to the next section. Cloudfone Thrill 530QX makes up for its thickness with an ergonomic design which makes it very comfortable to use even if it has a large display. The display measures 5.3 inches with a resolution of 960 x 540 pixels or 208 pixels per inch. This is not an HD screen but it will still provide users with high quality text, graphics and video. For the camera, Cloudfone Thrill 530QX has a 12 Megapixel autofocus shooter at the back with a single LED flash and wide angle 5 Megapixel camera at the front. It’s camera app has been modified to provide extra features like smile detection, burst shots and face beautification. 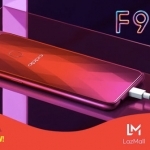 “The CloudFone Thrill 530qx has ‘Gesture Based Controls‘ like pop-up play, flip-to-mute and intelligent answer”, Cloudfone stated in its Facebook page. 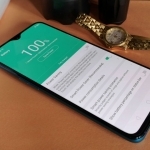 Pop-up Play allows you to play videos while using another app, Flip to Mute automatically turns the audio off by putting the phone up side down and Intelligent Answer lets you answer a call just by placing the phone near your ear. 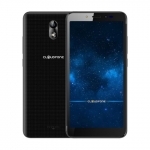 Cloudfone Thrill 530QX doesn’t have LTE capability but it has a fast ‘theoretical’ download speed of up to 21Mbps and upload speed of 5.76 Mbps. That’s the speed of 3.5G but it also depends on the network signal. Usual connectivity features are of course present with WiFi hotspot supported. Bluetooth comes at version 3.0, GPS and an electronic compass. This one is sweet: Cloudfone Thrill 530QX supports USB On the Go (OTG) and even comes with a free USB OTG cord. You can then connect a USB flash drive and transfer files. 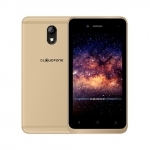 Interested on buying a Cloudfone Thrill 530QX? It’s availability starts on October 1, 2013 and will sell for ₱9,999.00. When you go to a Cloudfone store, try to test run Cloudfone Thrill 530QX and see for yourself if it’s the quad core smartphone for you. There’s a notable feature that this phone lacks – a scratch resistant screen. Tell us what you think about Cloudfone Thrill 530QX in the comments below.